Will AquaBounty and its salmon go belly-up? The New York Times editorial board apparently has decided that too much science is not a good idea for its readers. It has taken refuge in sensationalist dogma on the subject of the recently-approved bio-engineered salmon by the Food and Drug Administration. Titled "Tell Consumers What They Are Eating," the editorial expresses various concerns, some attributed to consumers, some to "environmental and food safety groups." 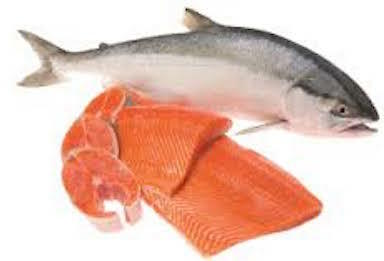 The only such fear specified that the genetically-modified AquaAdvantage salmon might escape into the ocean and possibly breed with wild salmon is about as likely as the fish growing legs and walking ashore to gobble up the Times building. Here's why. First, these GM salmon have been bred to be sterile, a tough obstacle for planning fish families. But they will grow to twice the size of their "normal" brethren. And they are entrapped in two specialized facilities (one in Canada and the other in Panama) with extremely secure escape-proof barriers. Pablo Escobar would be unable to elude the fish police from its enclosures. The Times writes, "at least one consumer group has announced plans to sue the FDA to overturn its approval." That would be the Center for Food Safety, one of the most rabid anti-technology NGOs targeting GMO food. Good luck with that, CFS! The FDA is not the EPA, which welcomes activist lawsuits that they can settle and bestow more millions of government booty on the NGOs in the "sue-and-settle" scam. No, the FDA has spent close to a decade and who knows how many millions of taxpayer dollars investigating, testing and analyzing this fish. It actually announced in 2012 that all the agency's criteria had been satisfied for the approval and then, nothing happened. So the Times delivered this advice: "In approving genetically engineered salmon as safe to eat and safe for the environment, the Food and Drug Administration rejected petitions from environmental and food safety groups asking that companies selling this salmon be required to label it as genetically engineered. Congress should overturn that decision. Consumers deserve to know what they are eating." As if Congress has nothing better to do than put a virtual skull-and-crossbones on this poor (but big) salmon! (Maybe it doesn't?) And editors, where should it stop? Should all GMO food be labelled, even though there's no difference between it and standard food. In any case, here's my advice for the editorial board: Tell consumers what they're eating, sure. In this case, it's fish and it's good for you.